We have a long interview with fiction and non-fiction author Michael W. Lucas for you this week as well as questions from the audience. 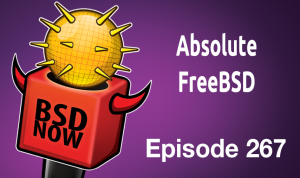 AJ: How did the first Absolute FreeBSD come about? BR: Do you have anything special planned for MeetBSD? BR: What are your plans for next year? AJ: How has SEMIBug been going?